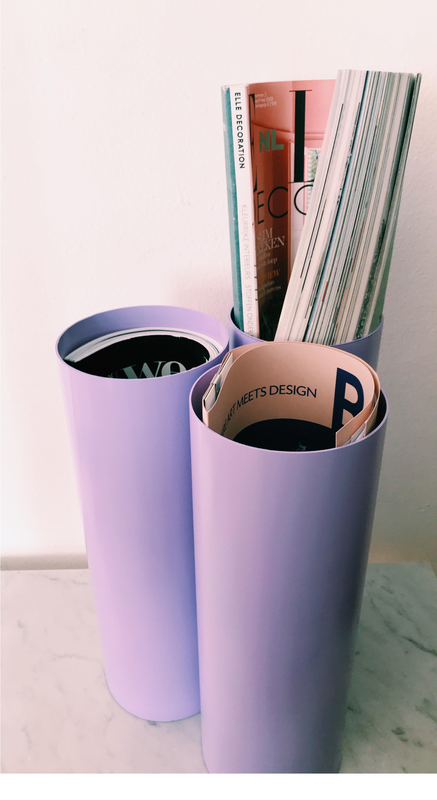 Because functional design and products are a big part of my passion – i present a new way and a new shape to store some of you favourite magazines. Steel magazine tubes fixed or separate, so you can choose the amount and the composition of the tubes. You can choose the composition – amount and color of the tubes. Wanna go wild? go for a color block combination to give your interior some spice. 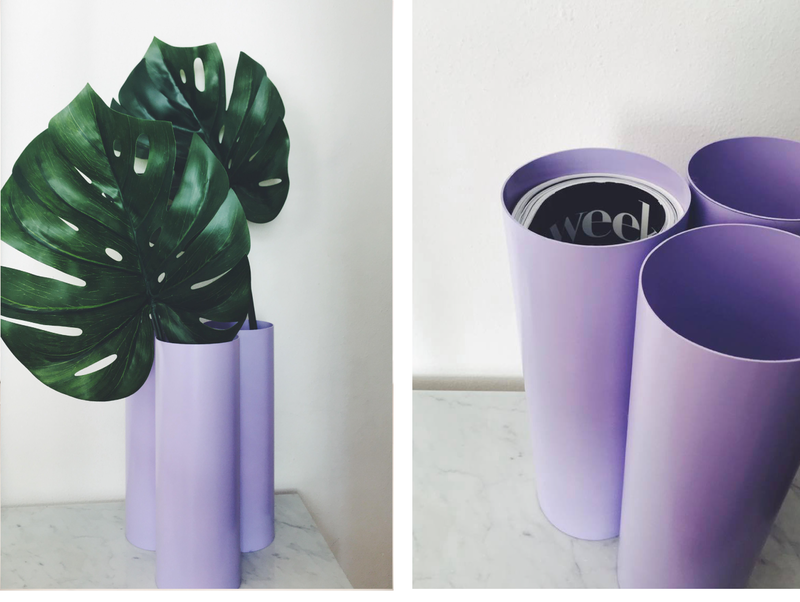 These magazine tubes are coated in that beautiful glossy lilac.